As part of our ongoing series of Dynamics seminars, 365 Talent Portal ran a Dynamics 365 Business Edition broadcast for our members on Friday 12th August with Andrea Ely, Technical Solution Professional Dynamics for ERP at Microsoft UK. Here’s a summary of some of the points covered. For more information, please go through to the slideshow below. 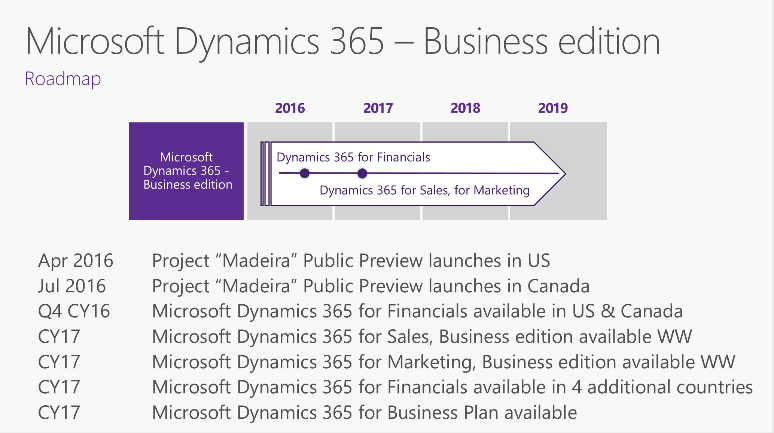 In case you have been on a desert island since early July, Dynamics 365 is the new SAAS-only announcement from Microsoft made at this year’s Worldwide Partner Conference in Toronto – a Cloud-focussed ERP, CRM and Analytics solution that commentators are saying gives Salesforce and Oracle something new to worry about and sets a new direction in how business software will be sold and consumed. Please see here for discussion about the initial impressions from the WPC announcements. Dynamics 365 is pure SAAS and will never be available On Premise, say Microsoft. On Prem diehards need not fear though….. – all products (inc NAV, AX, CRM are all still being developed for On Prem for those customers that want this). 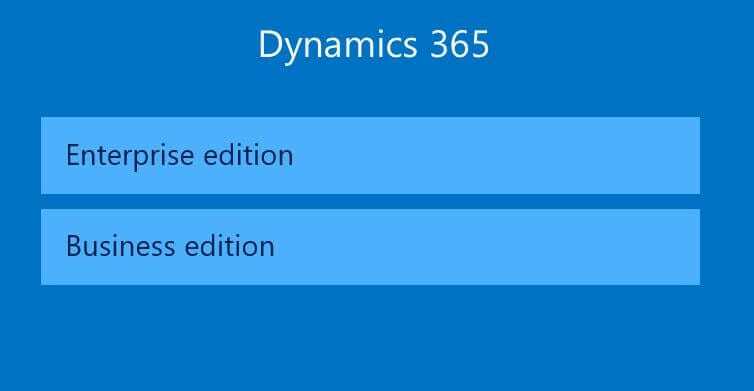 Dynamics 365 will be light, intended to be easily and repeatably packaged. 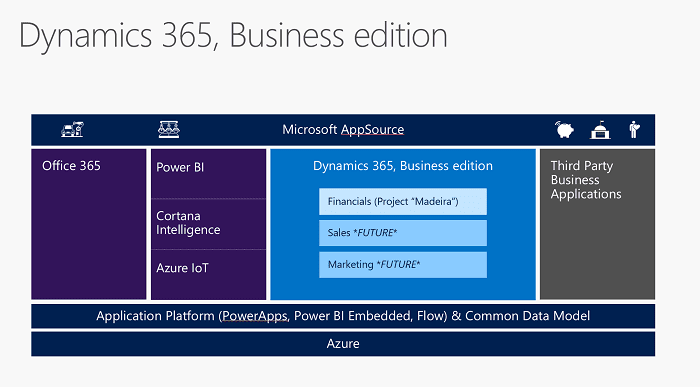 The idea is that in the way that a customer can currently go and buy Office 365 for general productivity (including BI, Azure, and Cortana), they will also be able to buy Dynamics 365 for CRM and Finance/ERP, and choose various apps (known as Extensions) from the AppSource app store to better match their particular business needs. The intention is that in many cases they can implement this solution easily themselves, or they can use a partner to help them in certain cases. A big question which self-implementers will have to answer is how they will manage change; many partners will be able to provide valuable experience in this area as long as customers recognise it is vital to success in many ERP and CRM projects. Which ERPs are in which product variants? Enterprise Edition – this will be based on Dynamics CRM and AX: please note that this will be the subject of a later seminar we will run in September – pre-register here if you are interested. Business Edition – this will be based on Dynamics CRM and a NAV-type Finance and ERP application, optimised for 10-99 employee SMBs: this was the focus of this seminar. 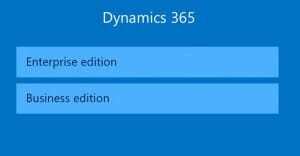 What’s in Dynamics 365 Business Edition and when will it be available? 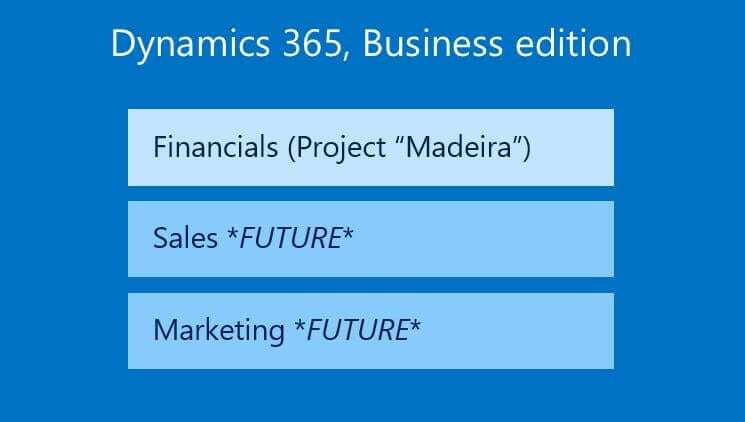 Dynamics 365 for Financials – NAV-based (what was called Project Madeira). A release for the US and Canada will go live in October 2016, with 4 countries (the UK is strongly expected to be one of them) in EMEA and APAC likely to be Feb-March 2017 (unconfirmed). So to emphasise, the first release in Oct 2016 will ONLY be financials, and ONLY in the US and Canada. Other regions roll out TBA as per the graphic above. Where can I see it and try it out? There has been a US-specific preview available for download since April at the official preview site . Note you will need to provide an email address which ties to US-related Office 365 – great for those in North America (it has since been extended to support Canadian users). If you are outside these countries, don’t despair – we have published a way of accessing the preview here. What are the release dates across all Dynamics ERP products? 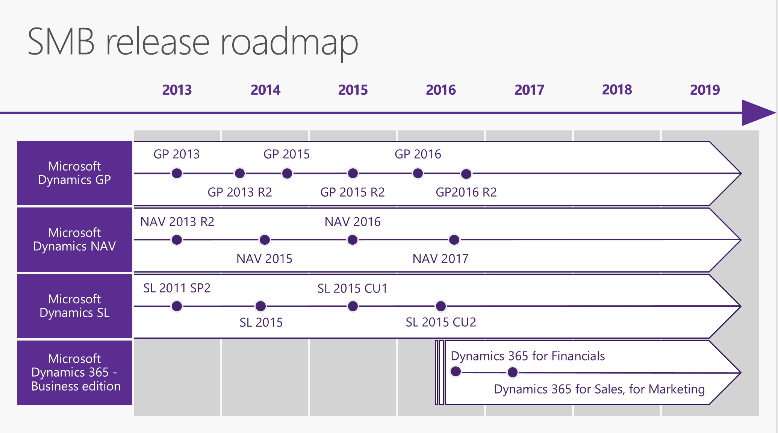 Plans for development of the current NAV, GP, SL products, and Dynamics 365 for Financials, step forwards in parallel as per this comprehensive release plan. NAV 2017 will be announced later this year, but plans for these products from 2017 onwards need a lot more clarity. 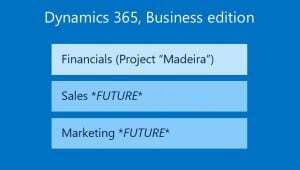 More about the Preview: https://madeira.microsoft.com/en-us/ – US and Canada only; see here for how to get this if you live in other countries. If you can, go to one of these for in-depth discussion and the very latest updates; there will be significant new information released at these events. Hope that’s all useful information!